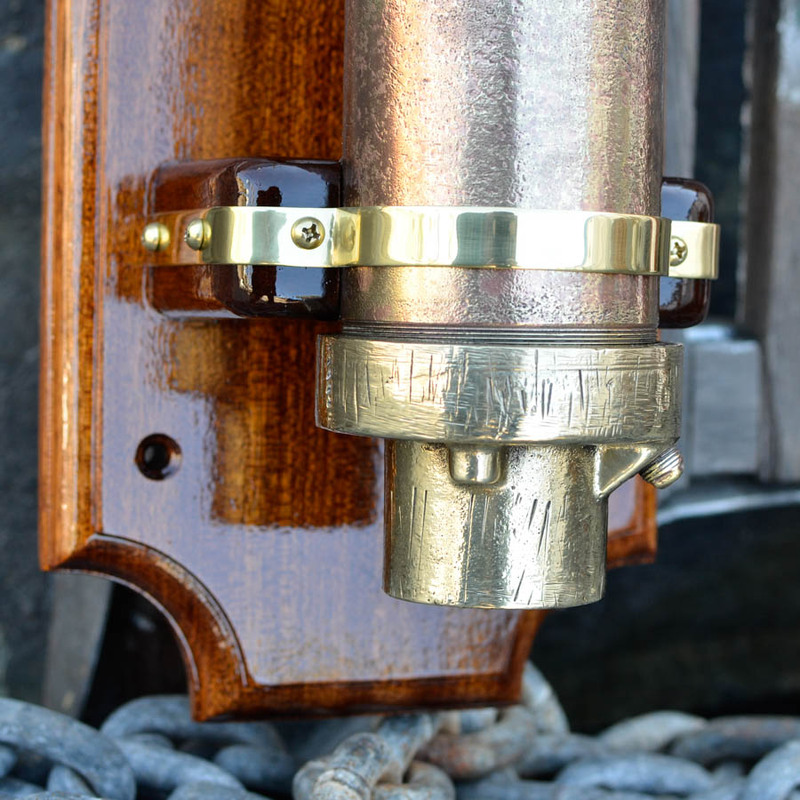 A magnificent sclodge of antique marine hardware. 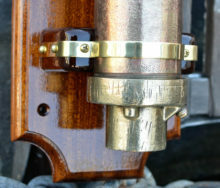 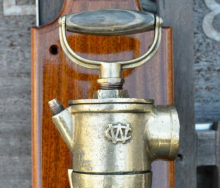 Solid brass Wilcox manual bilge pump mounted for show on a slab of varnished mahogany. 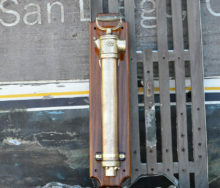 Back board measures 28″ long x 6.5″. 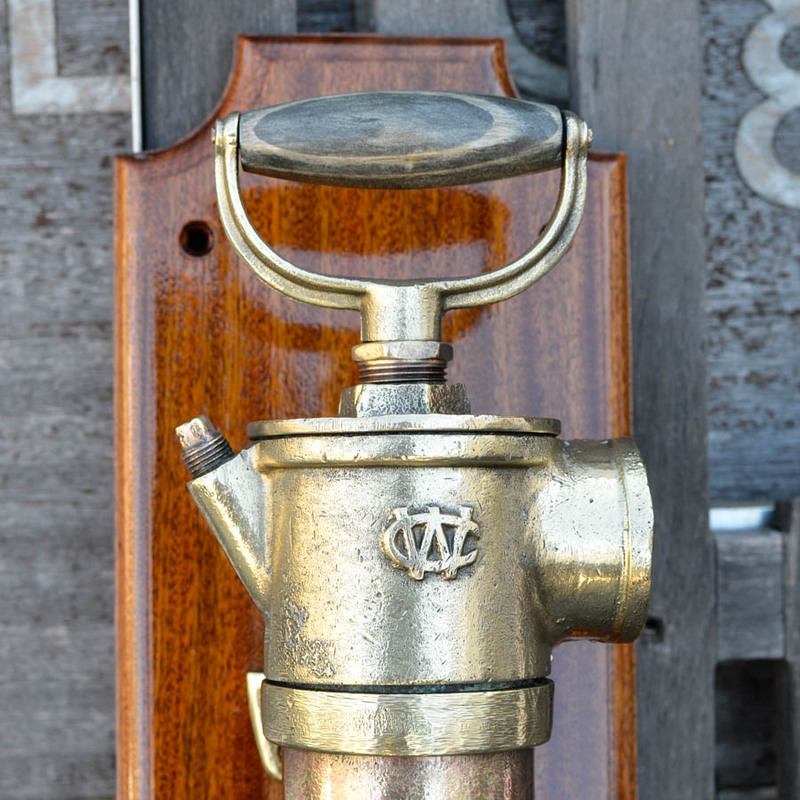 Decorate your vintage yacht engine room with class. 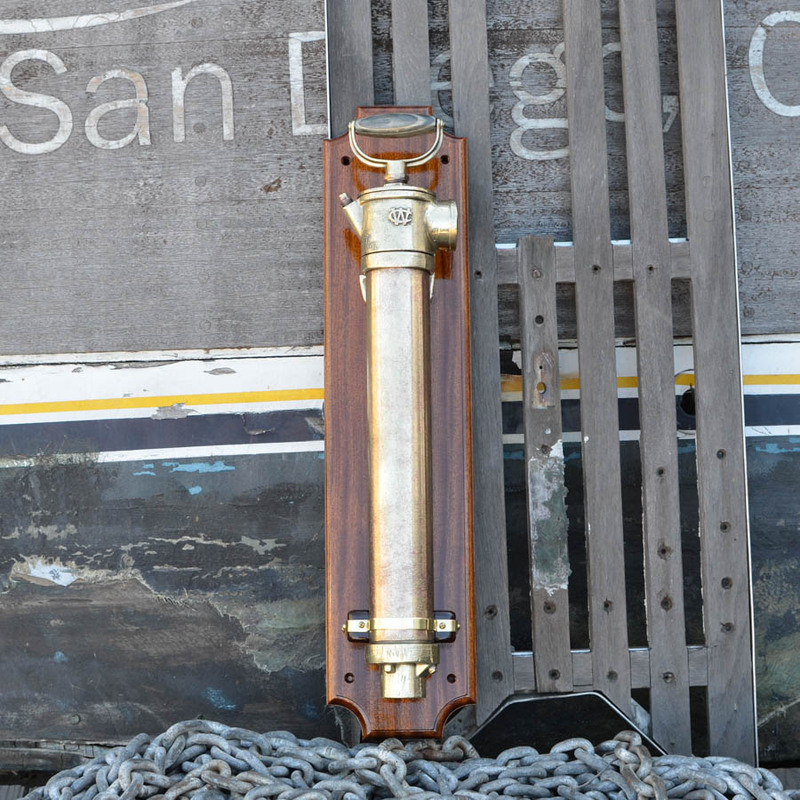 Bilge is a display piece only as it may or may not actually bilge any longer due to age.. We ship worldwide….